USED PARTS – OVER 1,000 USED CARS IN STOCK! We have an extensive warehouse stocked with pulled parts ready for pickup. We have 1,000+ used cars ready for dismantling. All current model vehicles! Check our inventory yourself or call us during business hours. 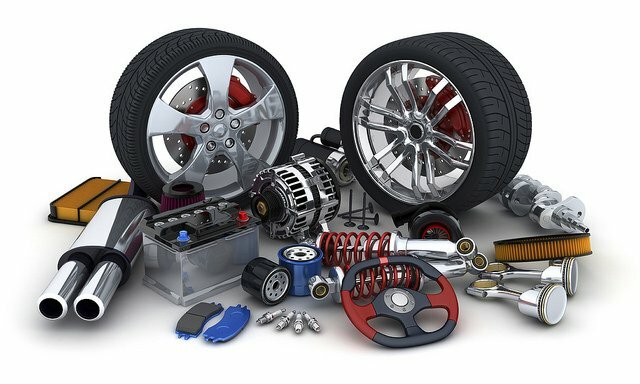 If you’re looking for used auto parts in McAllen, look no further. We have 2 Locations to serve you! Our team is committed to one common goal- to provide you with the best product at a reasonable price, along with the most reliable and professional service in the used auto parts industry. Our team has over 50+ years of combined experience to help you with any type of question. We also have a nationwide auto parts locator to help you locate any parts we might not have in stock. We don’t just buy vehicles to buy them. We buy them based on the most popular makes and models in the recent years. From popular models of Ford, Chevrolet, Nissan, Volkswagen, Dodge, Hyundai, GMC, Honda, Saturn, Buick Lincoln, Jeep, Chrysler, Toyota and even BMW, you can rest assured we have a large inventory of used auto parts for you to search. Some of the most recent high volume trends we are seeing is for used Jetta parts, used VW parts and used Nissan Sentra parts. Have a question on a specific part you are looking for? Call and speak to one of our highly experienced team members today! We have an extensive warehouse stocked with pulled parts ready for pickup. We have 1,000+ used cars ready for dismantling. All current model vehicles! Check our inventory yourself or call us during business hours.